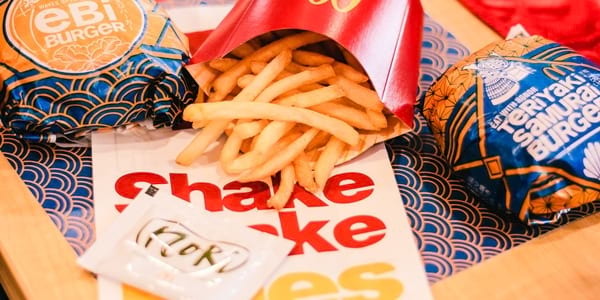 McDonald's Introduces Japanese Flavors to their Burgers, Shake Shake Fries, and McFloat! Go Itadakimasu! 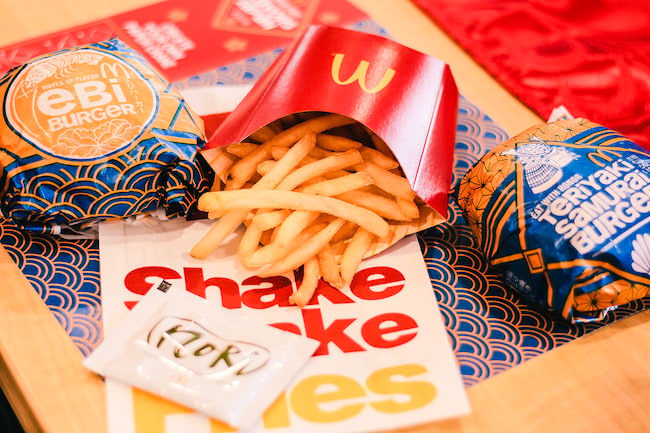 with McDonald's new flavorful offers that are sure to bring the Japanese oishi experience to your neighborhood! Introducing the flavors of Japan to their fast food menu, McDonald's now offers the Ebi Burger with a shrimp tempura patty; Teriyaki Samurai Burger's beef patty is dipped in Teriyaki glaze; the Nori Shake Shake Fries has a sweet and salty seaweed flavor; and the Strawberry Sakura McFloat which is a strawberry and cherry fusion drink topped with vanilla ice cream. 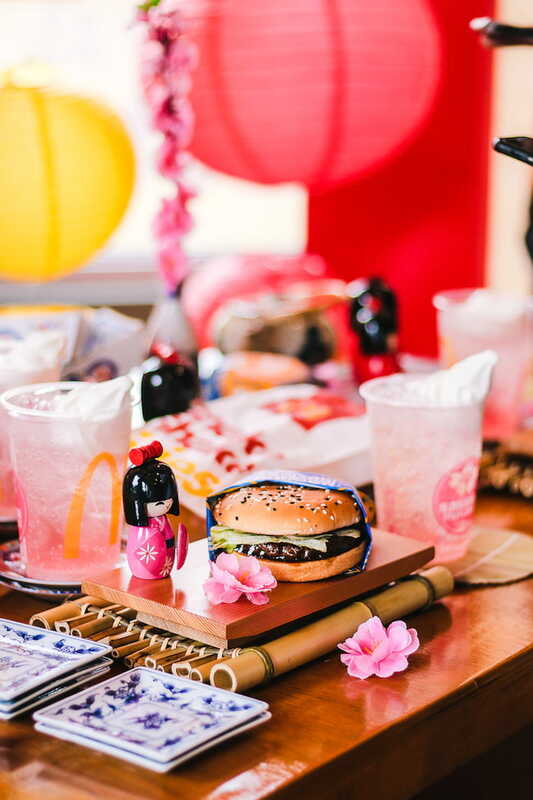 Get a complete experience with their Sakura Meal which includes the Nori Shake Shake Fries, Strawberry Sakura McFloat, and a choice between their two new burgers. Select branches nationwide will also have a Japanese makeover so you'd have the ambiance go with the food. So what are you waiting for? Make sure to drop by the closest McDonald's branch at your place and try their new Japanese deals! 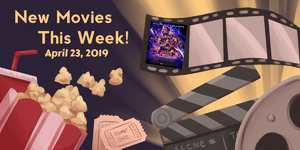 For more news and deals, visit the McDonald's website and follow their social media pages on Facebook, Twitter, and Instagram.